What is Brexit and Why Did it Happen? The European Union is arguably one of the most powerful blocs across the globe. But recently, it voted for Brexit, which means, it lost United Kingdom, one of the biggest members of the union. How and when the UK left the EU had major implications throughout the world. And in this article, we are going to discuss all about it. 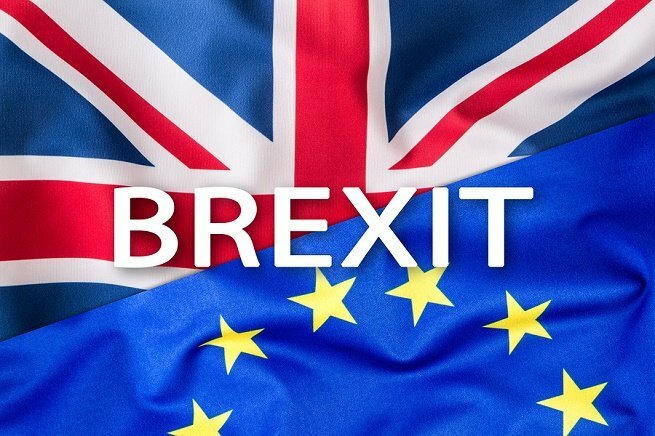 Brexit stands as an abbreviation for “British exit” which refers to the United Kingdom’s decision in leaving the European Union. This decision came right after a referendum that was scheduled and rolled out on the 23rd of June 2016. The results of the vote managed to defy every kind of expectation and revolutionized the global markets, leading the British pound to fall on its lowest range against dollar in the last three decades. Prime Minister David Cameron who called for the referendum and held several campaigns for Britain to remain in the EU resigned the next month. The process of leaving the European Union, formally started from the 29th March 2017. It was around this time, when May brought forward the Article 50 of the Lisbon Treaty. From that date, UK had around two years for negotiating a new relationship with the Union. There were talks about the matter on 19th June 2017, and the process alone, was riddled with questions and deliberations. This was primarily because the constitution of Britain wasn’t a written document, and because no country had left the European Union citing the Article 50 prior to this. The only instance was Algeria leaving the predecessor of the European Union was when it gained its independence from France in 1962, and when a self-governing territory of the Denmark chose to leave with a special treaty in 1985. On 25th November 2018, both Britain and the European Union agreed to sign a 585-page withdrawal agreement, a deal along the part of Brexit that encompassed several issues pertaining to the right of the citizens, the infamous divorce bill and tensions around the Irish Border. The members of the Parliament voted for this withdrawal agreement on the 15th of January, Tuesday. They voted 432-202 for rejecting the agreement, which was one of the biggest defeats for a Britain based Prime Minister in the House of Common, in the recent date. Hoe Does It Affect The Rest of The Globe. European Nations- European nations have a lot to lose on many different fronts. Almost half of the exports of UK are sent to the European Union. A little more than half of these imports are taken from 27 other nations in the entire bloc. And this entire trade is now up for an impending re-negotiation. There’ll also be a major impact on the diplomacy front. Every time Europe has managed to do something useful on this front, UK, a leading military power has taken the driver’s seat. So here, the European Union is losing a major heavyweight. United States- The world is already extremely volatile. So certain individuals in the United States might assume, this union, supposedly a major ally, will bring forth more instability. The UK is also the one of the biggest trading partners of the America. It is currently ranked at the seventh-biggest status. So, this decision will also affect the trades of the nation. Other Nations- The UK is the fifth biggest national economies across the globe. So, the decision will also affect the global markets. Even if these markets don’t collapse, the uncertainty is equally bad. Since markets thrive on stability, unstable markets are likely to adversely affect the economy of your nation. Why Did The Brexit Happen ? Economics- Opponents of the European Union agreed that this is a dysfunctional economic decision. However, the Union failed to assess the economic issues that were developing since the beginning of 2008. One of the most pertinent examples here would be the 20% unemployment in and around Southern Europe. Also, the difference in the lives of both Southern Europeans and Germans, who are currently under unemployment of 4.2% is profound, to say the least. Europe, as an entire nation is completely stagnated, in terms of economy. Since staying in a stagnated economy would be a short-sighted decision for Britain, it didn’t make much sense for the opponents. They were under the opinion that the remaining parts of the European Union, would lead Britain to follow Europe’s footsteps. Sovereignty- The second major cause for Brexit was the growing rise of nationalism across the globe. There’s a constant distrust of multinational, trade and defense organizations developed after the second World War. Some of the most pertinent examples here would be the EU, the IMF and the NATO. Most of the individuals who oppose the EU, are under the opinion that none of these institutions serve any relevant purpose. Additionally, these companies also take all control away from individual states. Politics- Finally, the current political leadership of the Britain was under a major loss. The voters supporting the leave rejected both the Labour parties as well as the conservative ones. Both the parties had suggested to remain with the EU, and witnessed their members going in opposition against it. At the end of the day, it was a three-way struggle. Two leading parties wanted to stay in the Union, while the third fraction, drawn from both the parties were completely against it. People from this final group saw these leading parties being hostile to their interests. You can also consider this in a broader sense. The very possibility of Brexit threatened the financial markets and that is exactly how it came to be.